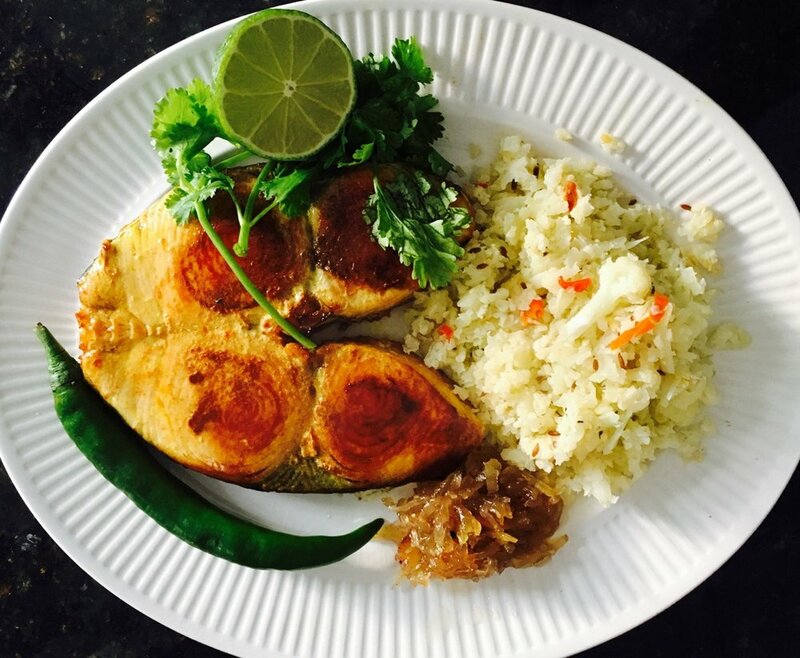 VISIT OUR RECIPES PAGE FOR THE FULL COLLECTION! 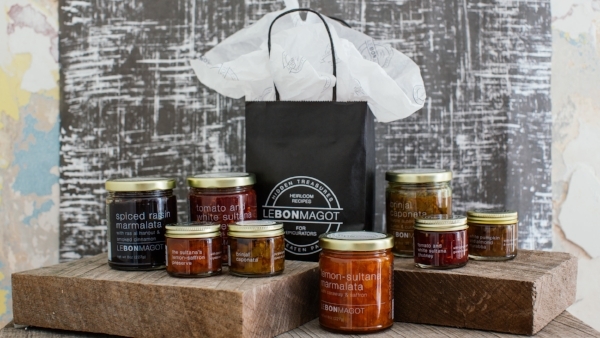 At Le Bon Magot®, we believe in the high quality of our products. Shipments leave our warehouse only after being carefully inspected, prepared, and packed. We aim to ship orders within 5 days of receipt. In the event, we are back-ordered, we will notify you. 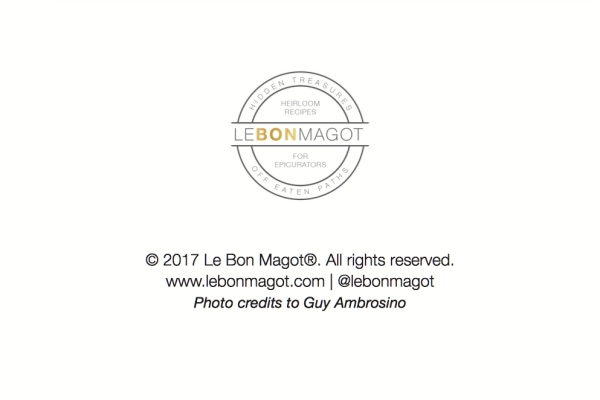 With this in mind, if for any reason you are dissatisfied with your purchase, please contact us immediately at info@lebonmagot.com or (609) 477-2847. Once you receive your order, requests for refunds or returns must be placed within 48 hours. Please do not immediately discard any of the product or packaging, as we may request our shipper to pick these up for return. 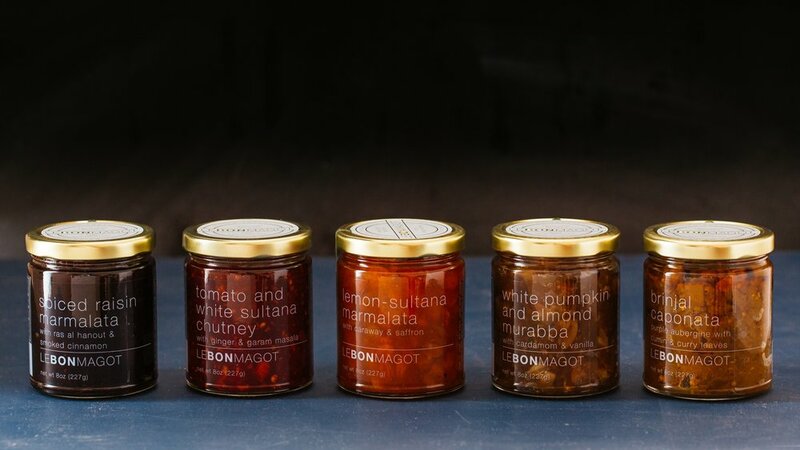 Upon receiving your order, if you believe the jars are damaged or tampered, please take a photo of the original packaging (including the box in which the order was shipped), and email it to info@lebonmagot.com so we may follow up with our shipper, if appropriate. We are unable to accept any open or used products. 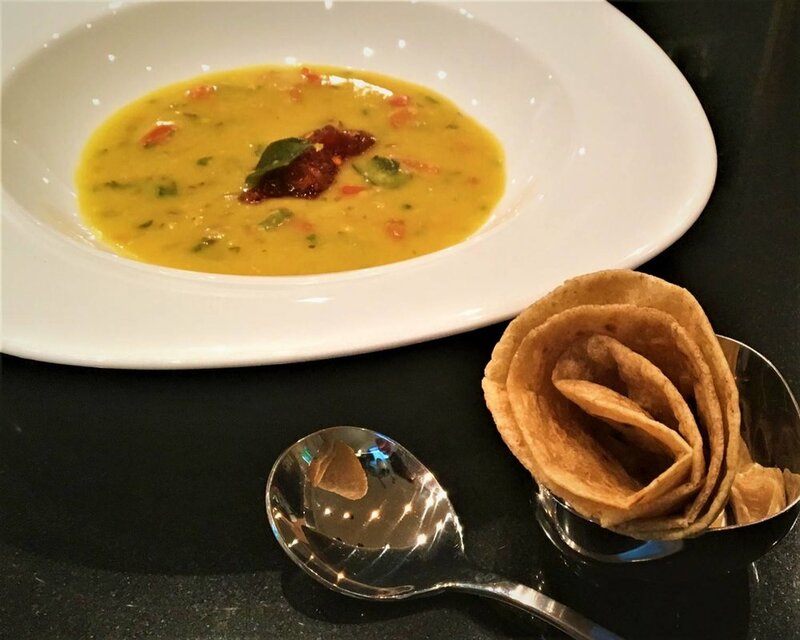 The chutney has been a ubiquitous part of Indian cuisine since before 500 B.C., with each region relying on a distinctive spice blend to preserve locally cultivated or foraged produce. 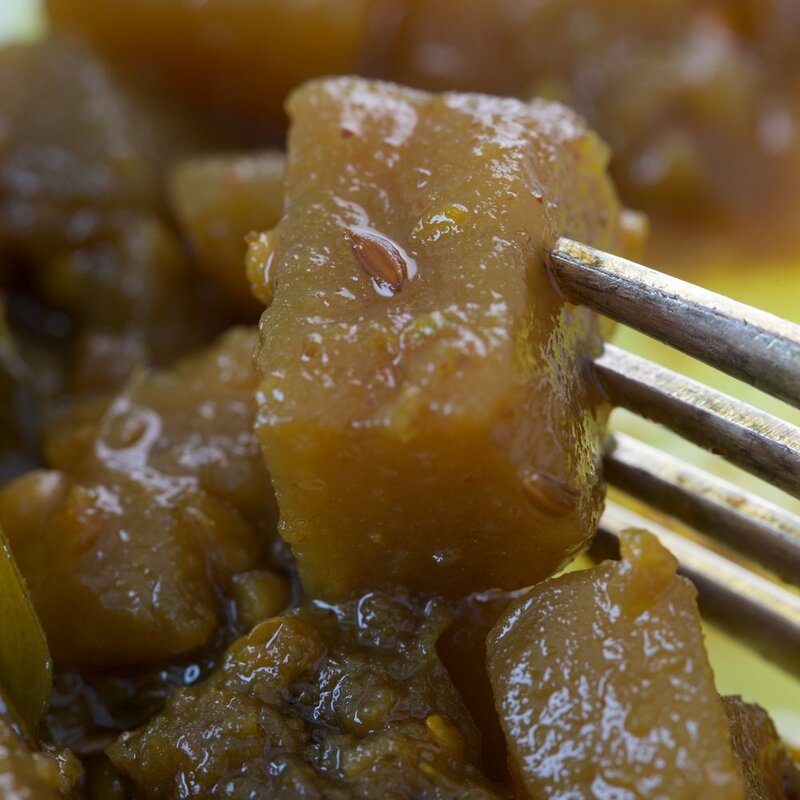 “Chutney” or chattni, in Hindi means “to lick,” which is precisely what diners will be doing as they lick their plates clean – not wanting to waste a single syrupy morsel! 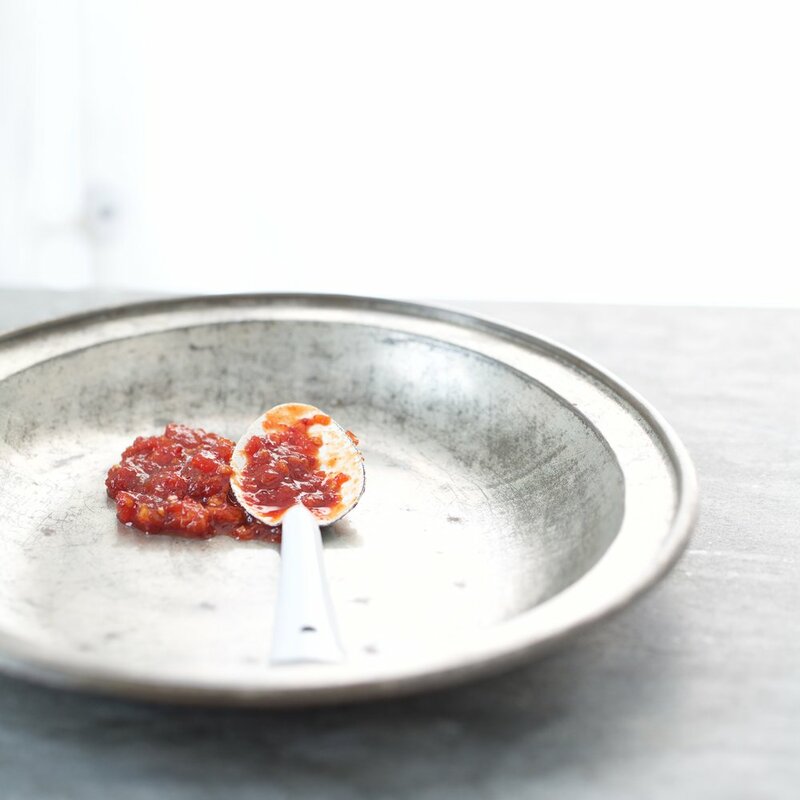 With the sweet fruitiness of tomato married to piquant Kashmiri chilies in this versatile chattni, you will not feel the need to reach for ketchup. 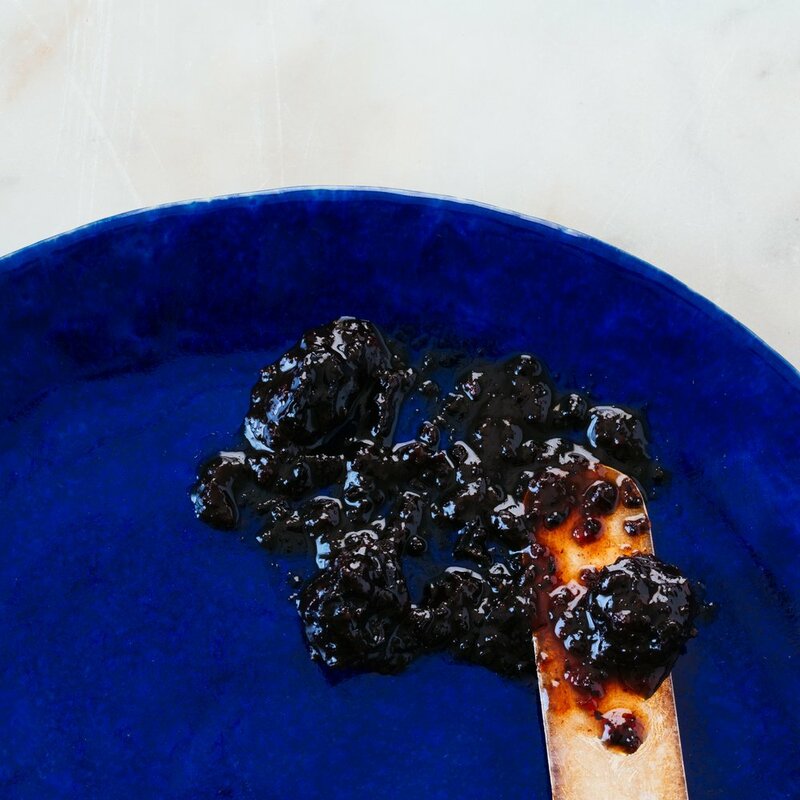 Whether jazzing up charcuterie or simply applied on toasted ciabatta, this chutney will become your plate-side companion at every meal. “Brinjal,” or eggplant, with its hearty flesh, gleaming purple skin and caviar-like seeds, is considered the “king of vegetables” in the Middle East and South Asia. Revered in Indian folklore, it is said to attract untold prosperity and treasure. 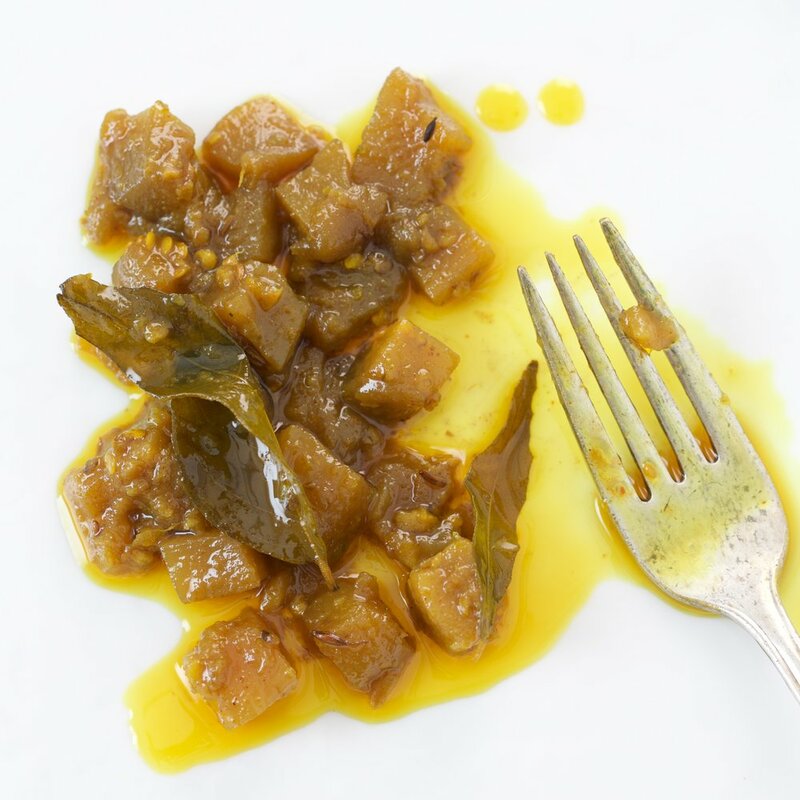 This treasure of a relish has its origins in Western India and, much like its Provençal, Sicilian and Spanish sisters, its sweet-and-sour taste has a natural affinity to oil-rich grilled fish, lamb, nutty cheeses and breads. 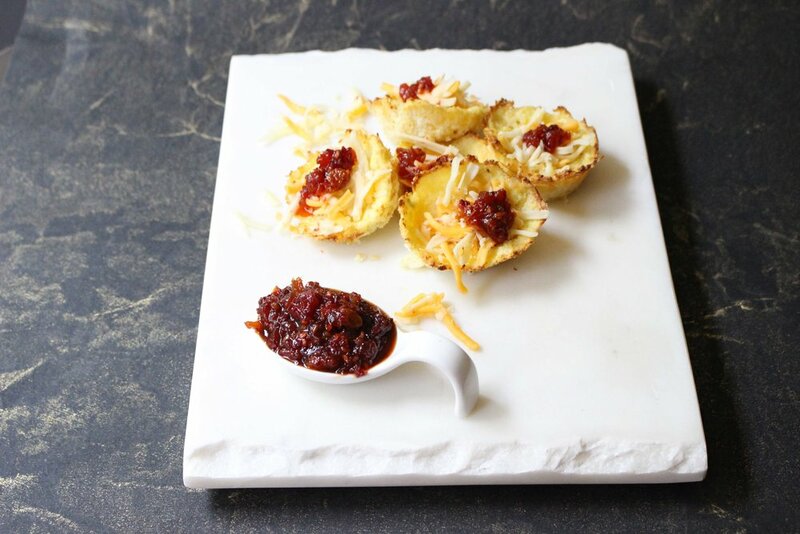 Paired with ricotta cheese or Greek yogurt, it crowns the humble pita chip. Swirled into a traditional mashed potato, it serves as an outstanding base for an Asian-inspired meatloaf. Rolled into a flatbread under a “masala” (spiced) omelette, you have breakfast on-the-go. The gourd’s importance as a confection dates back thousands of years and continues today from the Southern Mediterranean to the Indian subcontinent. 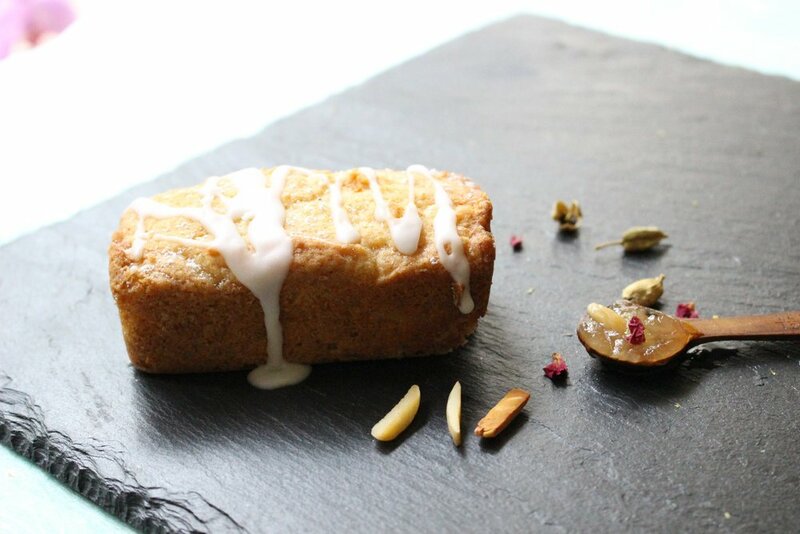 Layered with almonds, scented with cardamom, cinnamon and vanilla, this “murabba” or preserve calls Central Asia and Persia home. It is enriched with some of the world’s costliest spices, evoking festivity and is traditionally served during weddings. The murabba’s oral notes pair with all game but are equally delicious with a humble slice of toast slathered with salted butter. 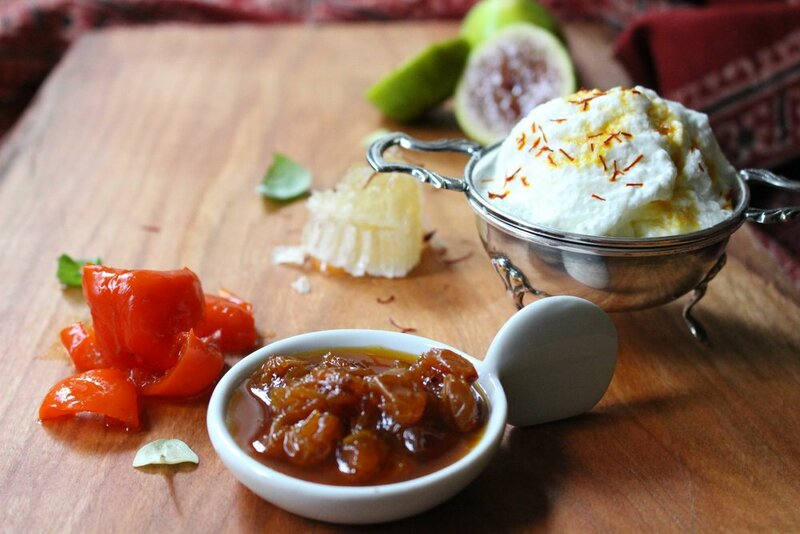 For dessert to impress, drizzle warmed compote over vanilla ice cream and add a cardamom infused, white wine-poached pear or roasted figs. This marmalade transports you down the Silk Road, through musky, oud-scented kasbahs and bustling markets. 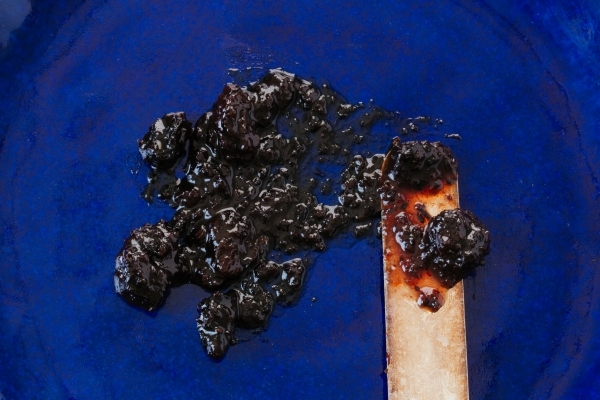 This is the backdrop of our Spiced Raisin Marmalata: ebony nuggets hang in a sweet-‘n-spicy syrup, honoring ras al hanout, North Africa’s signature blend of rose petals, cinnamon, and cardamom. Bake up a spiced version of a traditional oatmeal raisin cookie or replace traditional mincemeat in your holiday pies. While the peppery taste pairs with game, pork, poultry and cheeses, riff on a PB&J with feta and pine nuts for an East-meets-West treat! You can never have too much of a good thing! Fragrant Afghan saffron, licorice-scented caraway, citrusy lemon and Wölffer Estate Vineyard’s verjus all conspire to produce an evocative marmalade reminiscent of the dried fruit preserves of Turkey. Particularly good with goat and sheep’s milk cheeses, pork, smoked chicken or white fish. Drizzle it on cheesecake for an unusual dessert, use it in a classic bread pudding or stuff it in a crêpe with mascarpone cream. Alongside a rubble of toasted pistachios or your favorite granola in a creamy yogurt, this marmalata lends a perfectly sweet start to your day or drizzle on a slab of country toast with tahini for a late afternoon snack. © 2017 Le Bon Magot®. All Rights Reserved. as our story continues to unfold!